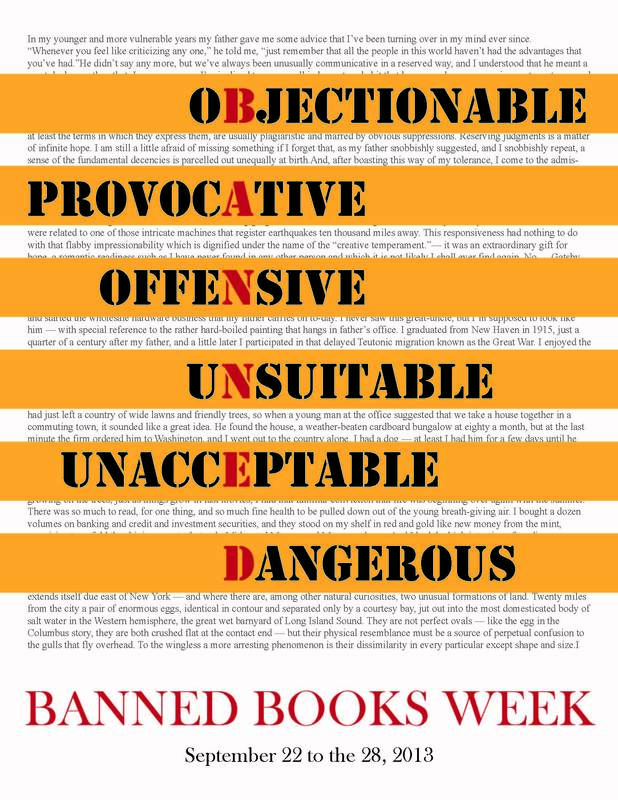 This week we are celebrating the freedom to read, and illuminating the history of banned and challenged books in the library. The week is starting off with a new blog post I wrote for the freshly updated SFC Library Blog, and a display of books in the library’s holdings that have made it on to the ALA’s list of most frequently banned or challenged books. I designed the poster at the top of this post to commemorate the celebrations this year (please feel free to use it without attribution in your library or school). Every year when Banned Books Week rolls around I am always taken aback by the number of classic (classic as in Steinbeck and Dahl) YA books that have been banned and continue to be challenged. I had some really great conversations with student workers as we were prepping the display about why books are challenged and who the challengers are. That libraries and schools (and along with them the librarians, teachers and principals who work in them) partake in censorship throughout the US, even today is something that I think is often overlooked.